Islands always have unique vibes, so it’s no surprise that the L+M Medical Group staff on Fishers Island offers a special kind of care. Led by Dr. Chris Ingram and supported by Dianna Shillo, practice supervisor; Kapri Thomas, medical assistant, and Jamie Doucette, patient coordinator, the team provides primary and urgent care to about 250 residents in winter and as many as 5,500 over holiday weekends in summer. Busy or otherwise, Dr. Ingram, trained emergency medicine, is always on call, ready to handle any patient concerns. In addition, for patients with life-threatening conditions, Dr. Ingram can call on the island’s emergency vessel – the “Sea Stretcher” – to quickly transport a patient across Fishers Island Sound to L+M Hospital. He can also refer to other specialists within the L+M Medical Group. 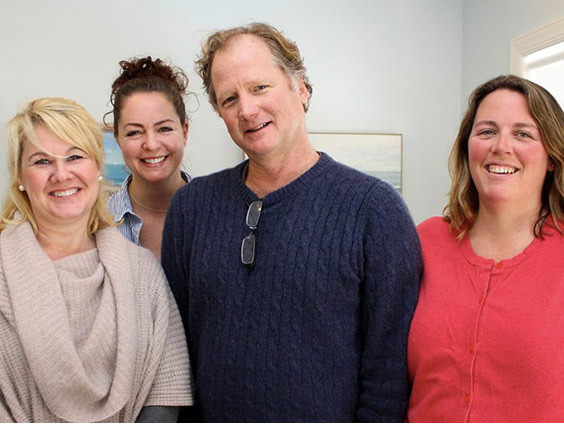 On typical winter days, the doctor’s office on Fishers Island reflects the laid-back mood of many of the island’s inhabitants, and Dr. Ingram prides himself on being able to take extra time with his regular patients, many of whom are also his neighbors and friends.